Note: The chronological format below employs the table function (supported in HTML 3.0). 1885 Ezra Weston Loomis Pound, born October 30 in Hailey, Idaho, son of Homer Loomis Pound ("Euripides Weight") and Isabel Weston Pound ("Hermione"); after eighteen months family moves to Pennsylvania. 1889 Family moves to 166 Fernbrook Avenue, Wyncote, Philadelphia; they become members of the Calvary Presbyterian Church. 1898 Three months tour of Europe (London, Brussels, Cologne, Paris, the Alps, Venice, Granada, Tangiers, etc.) with his great-aunt Frances "Frank" Wessels Weston ("Heeb"). 1901-3 Studies at the University of Pennsylvania. Meets Hilda Doolittle, William Carlos Williams (then a medical student). 1903-5 Studies at Hamilton College, Clinton, New York. Ph. B. (1905). 1906 M.A., U of Pennsylvania. 1907 Reads a little Confucius, July. Instructor in Romance Languages at Wabash College, Crawfordsville, Indiana, a small Presbyterian school, 1907-8. 1908 Resigns instructorship at Wabash College. A lume spento, Venice, July. Settles in London, September (?). 1909 Personae, London, April. Exultations, London, October. Meets W. B. Yeats, Ford Madox Hueffer (Ford). Joins the Second Poets' Club, comprising T. E. Hulme, F. S. Flint et al (Pound, in the "Prefatory Note" to "The Complete Poetical Works of T. E. Hulme" in Ripostes, refers to Les Imagistes as "the descendants" of this group). 1910 Spirit of Romance, London, June. 1911 Canzoni, London, July. Copies Arnaut Daniel's manuscript with musical notation before librarian Ambrogio Damiano Achille Ratti (later Pius XI) at the Biblioteca Ambrosiana, Milan, July. Shows it to Emil Levy in Freiburg. Shows Canzoni to Ford in Giessen, August, who rolls on the floor (this roll sends Pound back to his ''own proper effort, namely, toward using the living tongue"). Meets A. R. Orage, editor of the weekly New Age, who offers Pound a regular column. 1912 Finds Andreas Divus of Justinopolis' Latin translation of the Odyssey in Paris. Walking tour in southern France, June-July. Harriet Monroe, Chicago, asks Pound to contribute to a new magazine Poetry, August. Ripostes, London, October. 1913 "A Few Don'ts," March. Meets Henri Gaudier-Brzeska. Meets Mary Fenollosa, relict of Ernest Fenollosa, September, who later sends him Ernest's manuscripts on Chinese poetry and Japanese Noh plays, October-December (?). Stays with Yeats in Stone Cottage, Sussex, November-January (1914). 1914 Marries Dorothy Shakespear, 20 April, at St Mary Abbots. Meets T. S. Eliot, about 22 September, at Pound's flat in Holland Place Chambers. Writes to Harriet Monroe (publisher of Poetry), '[Eliot] has sent in the best poem ["The Love Song of J. Alfred Prufrock"] I have yet had or seen from an American,' 30 September. Sends 'Prufrock' to Poetry, October (it appears June 1915). Begins to work Fenollosa's translations into English poems (including 'The River Merchant's Wife'). Spends the winter of 1914-15 with Yeats at Coleman's Hatch. 1915 Begins reading Confucius (prob. Pauthier's French translation of Chung Yung), January. "Imagism and England," February. "Provincia Deserta," March. Cathay, London, April. Mentions in a letter he has started work on The Cantos-to-be: "I am also at work on a cryselephantine poem of immeasurable length which will occupy me for the next four decades unless it becomes a bore," September. "Near Perigord," November. 1916 Declares James Joyce is "by far the most significant writer of our decade" in Poetry, April. Gaudier-Brzeska, April. Lustra, London, September. Certain Noble Plays of Japan, Churchtown [Co. Dublin], September. 1972 Dies in Venice, November 1. Principal sources for the biographical information: Humphrey Carpenter, A Serious Character (London: Faber and Faber, 1988); Eustace Mullins, This Difficult Individual, Ezra Pound (Hollywood: Angriff P, 1961); Noel Stock, The Life of Ezra Pound, An Expanded Edition (San Francisco: North Point P, 1982); John Tytell, Ezra Pound: The Solitary Volcano (London: Bloomsbury, 1987); James J. Wilhelm, The American Roots of Ezra Pound (New York: Garland, 1985). Brooker, Peter. "The Lesson of Ezra Pound: An Essay in Poetry, Literary Ideology and Politics." 9-49. Murray, David. "Pound-signs: Money and Representation in Ezra Pound." 50-78. Kayman, Martin A. "A Model for Pound's Use of 'Science.'" 79-102. Schneidau, H. N. "Pound's Poetics of Loss." 103-120. Mottram, Eric. "Pound, Merleau-Ponty and the Phenomenology of Poetry." 121-147. Bell, Ian F. A. "'Speaking inFigures': The Mechanical Thomas Jefferson of Canto 31." 148-186. Riddel, Joseph N. "'Neo-Nietzschean Clatter'--Speculation and/on Pound's Poetic Image." 187-220. Godden, Richard. "Icons, Etymologies, Origins and Monkey Puzzles in the Languages of Upward and Fenollosa." 221-244. Hesse, Eva. "The End of The Cantos." 25-40. Pearlman, Daniel D. "The Barb of Time." 41-55. Martz, Louis L. "Pound's Early Poems." 57-73. Nänny, Max. "Context, Contiguity and Contact in Ezra Pound's Personae." 75-85. 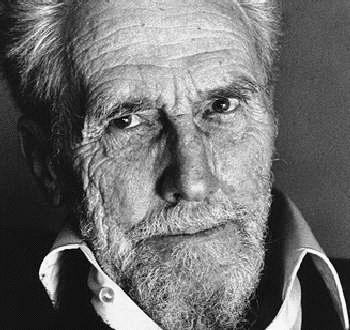 Pearlman, Daniel D. "Ezra Pound: America's Wandering Jew." 87-104. Robinson, Fred C. "'The Might of the North': Pound's Anglo-Saxon Studies and 'The Seafarer." 105-126. Davie, Donald. "Res and Verba in Rock-Drill and After." 127-139. Froula, Christine. "The Pound Error: The Limits of Authority in the Modern Epic." 141-160. Nãnny, Max. "Context, Contiguity and Contact in Ezra Pound's Personae." 75-85. Robinson, Fred C. "'The Might of the North': Pound's Anglo-Saxon Studies and 'The Seafarer." 105-26. Davie, Donald. "Res and Verba in Rock-Drill and After." 127-39. Bernstein, Michael Andr�E "Image, Word, and Sign: The Visual Arts as Evidence in Ezra Pound's Cantos." 161-76. Lindberg, Kathryne V. "Rhizomatic America." 177-98. Kearns, George. "Reading Pound Writing Chinese: A Page from Rock-Drill." 199-208. The two cassettes, 90 minutes long, contain Pound's reading of Hugh Selwyn Mauberley, "Cantico del Sole," "Moeurs Contemporaines," Cantos I, IV, XXXVI, XLV, LI, LXXVI (second half), LXXXIV, XCIX, "The Gypsy," and "The Exile's Letter." This 60-minute video is originally a 1988 production of the New York Center for Visual History. Executive producer: Lawrence Pitkethly. Available as one of the whole series, 'Voices and Visions', or as a set of 4 videos (Whitman, Crane, Pound, Williams). There is also a CD-ROM version for Windows with educational material added, which is only available as a set of 14 CD-ROMs. Information on The Collection of American Literature "Modernism at Home and Abroad," Beinecke Rare Book and Manuscript Library, Yale University, including Ezra Pound, H.D., Gertrude Stein, William Carlos Williams, Matthew Josephson, Mina Loy, Carl Van Vechten, and Glenway Wescott. Of related interest is the library's exhibition in 1996, 'Petals on a Wet Black Bough: American Modernist Writers and the Orient'. Information on the collection at the Lilly Library of Indiana University. E-text of 7 poems, including Canto 1 with the audio file of Pound's reading. Biography, bibliography, links. A hypertext version of Canto 81, with lots of annotations and photographs. Authors (Ned Bates and Gail McDonald) call it a 'hypervortext'. Donald Lyons' article in the June 1999 issue of The New Criterion. Edwin J. Barton's article in the premiere issue of the University of Toronto's McLuhan Studies', 1988. An extensive bibliography, including journal articles. A part of PAL: Perspectives in American Literature: A Research and Reference Guide. Detailed account given in Japanese by Hideo Nogami. Essays of relevant interest (e. g. 'Modernism and Theosophy') included. To join this mailing list, send the one-line message &QUOT;SUBSCRIBE EPOUND-L Yourfirstname Yourlastname&QUOT; to the address LISTSERV@Maine.Maine.Edu leaving the subject line blank. Pound's books are listed here. Information concerning Pound studies, books, conferences, and related topics. Internationally known as the foremost publisher of scholarly work on Pound and the Pound tradition.